With the European elections just weeks away, Euronews is counting down by taking a road trip across the continent to speak to voters about the issues that matter to them. We are parking our red sofa in cities, towns and villages around Europe – inviting people to take a seat and talk about what's on their mind, ahead of what is a key vote at a crucial moment for the European Union. 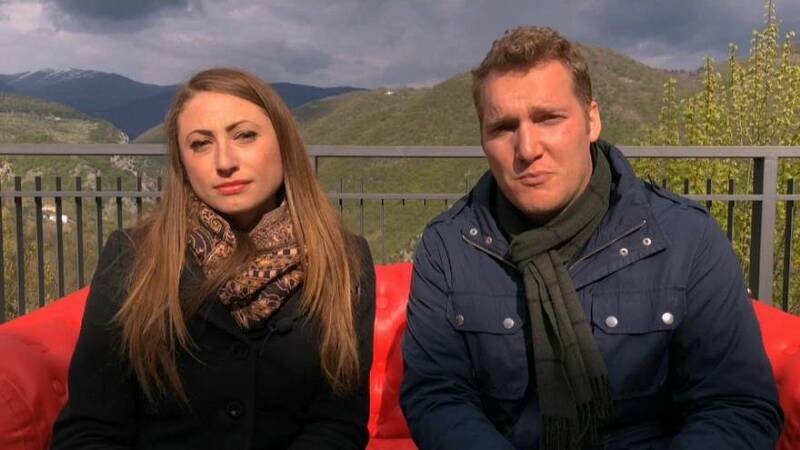 Today Euronews correspondents Elena Cavallone and Jack Parrock are in the centre of Italy - in the small town of Collepardo. The traditional Italian village has got a population of around 800 people. It is some 5 km away from a monastery built in 1204 - its usage, is soon about to change. A group of nationalists, led by Steve Bannon, the former consultant of US President Donald Trump and prominent figure of the so called alt-right movement, intends to establish an academy to teach "sovereigntism" and populism - ideologies that espouse the preserving of individual nations or regions. They expect to be having this academy up and running by October, when people from all across the European Union and the world are expected to come to learn those ideologies - which could have a huge effect on this small town. Vincenzo de Parasis, deputy mayor of the town says that the town’s growth is their priority. "If all this brings growth for the youth, for the territory, then why not. Because I don't think they want to build a school for Nazis, at least the constitution doesn't allow it. This is what I think and is the thought of many citizens," he said. But, some locals have expressed concern over the plan. "I do not agree because we are used to having this abbey, we are very attached to this convent. I hope it goes well, that at least it brings jobs to this village because it needs it. I hope the EU helps Italy, because we are in a situation that is not the best," 67-year-old Flavia told Euronews. Click on the player above to watch the full piece.